Throughout this season's lofty expectations, successes and disappointments, the Huskies have rolled with the punches and find themselves still in position for the Pac-12 title and a Rose Bowl appearance — if they can knock off a red-hot WSU team Friday in Pullman. After four years, you start to get the measure of a man. Thus, it should come as absolutely no surprise that Washington quarterback Jake Browning has no interest whatsoever in whether the 2018 Huskies have met, or fallen short, of outside expectations. 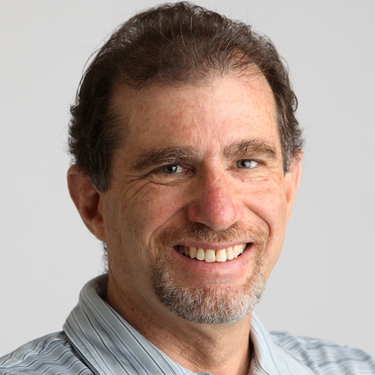 “I really don’t care what people were hoping for this whole season,’’ he said. 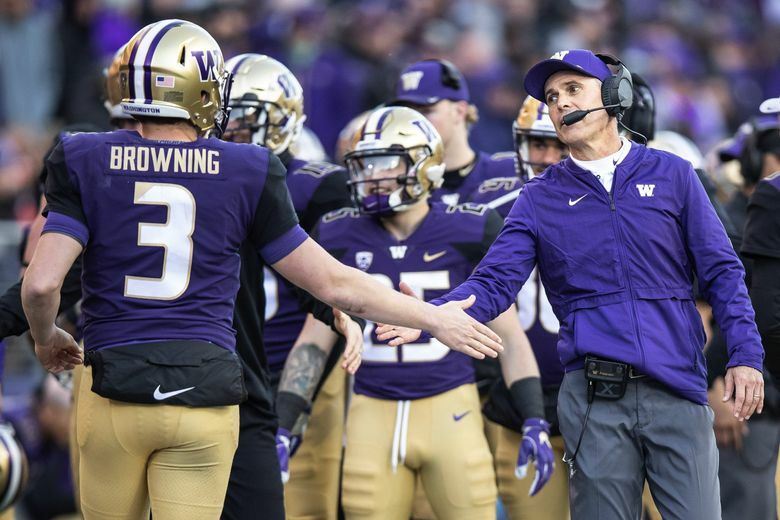 That said, Browning and the Huskies are now looking squarely at a golden opportunity — a final opportunity — to close out what at times has been a trying season on a redemptive high. And it starts with an Apple Cup on Friday for which the hype will be frenzied, and justified. The battle lines were secured on Saturday when the Huskies completed a perfunctory 42-23 rout of Oregon State at Husky Stadium. Thus will the Apple Cup in Pullman match two ranked teams in a winner-take-all showdown for the Pac-12 North title — a dream setup that you could see coming into ever-clearer focus with each passing week. If that sounds familiar, it’s because that was the precise scenario two years ago at Martin Stadium, and the Huskies prevailed in a 45-17 rout. In fact, there’s no one on this Husky team that has lost to the Cougars, with coach Chris Petersen winning by lopsided scores of 31-13, 45-10, 45-17 and 41-14 in his four years at the helm. Speaking of getting the measure of a man — Petersen on Saturday characteristically did nothing but heap praise on his opposite number, Mike Leach, and the coaching job he has pulled off in the wake of the tragic turn that last season took for the Cougars. But it didn’t smack of platitudes; Leach and his team have earned sincere plaudits. The Huskies came into this season listed as contenders for a national playoff spot — an outcome severely compromised by a 21-16 loss to Auburn in the opener and then wiped out by a 30-27 overtime defeat to Oregon. A two-point loss to Cal further marred their season, but here the Huskies stand, with a shot at a Pac-12 title and Rose Bowl berth still within in their control. To Browning, there’s honor in weathering those setbacks and still plowing forward, though he sees it more as a competitor’s obligation than something to be overly praised for. “Everyone beats the crap out of each other in the Pac-12, and it’s who can absorb the blows and just keep battling,’’ he said. “There’s plenty of teams like us that had high expectations for the season and haven’t been able to absorb the blows and keep battling. The Huskies go into the Apple Cup off a game in which their victory was never in doubt. Yet the threat of an Oregon State comeback never quite evaded Petersen. He left many of his starters in the game until the fourth quarter. That included Browning, who luckily withstood a hit that left him clutching his neck on his final play. The familiarity Oregon State coach Jonathan Smith had with the Huskies as their offensive coordinator the previous four years certainly came into play. So did the fact the Beavers, with nothing to lose, played a wide-open and aggressive game in which some of their gadgets paid off. “Coach Smith knows our defense pretty well,’’ Burr-Kirven said. “We’d be getting into your coverages and he’d see it, and all of a sudden they were running the exact right play to counter that. Now the Huskies can turn their total focus to Washington State in what will be a short week for both teams. After a stretch in which the Apple Cup was often anti-climactic, with one or both programs struggling, the Huskies and Cougars have hit a stretch of mutual success. And that has led to a series of significant Apple Cups. At least in theory; the competitiveness of the games has not met that standard in the Petersen-Leach era. Browning was asked how about his plans on Thanksgiving, which is the day the Huskies will head to Pullman. His answer was completely in character. “Go beat the Cougs,’’ he replied without skipping a beat.